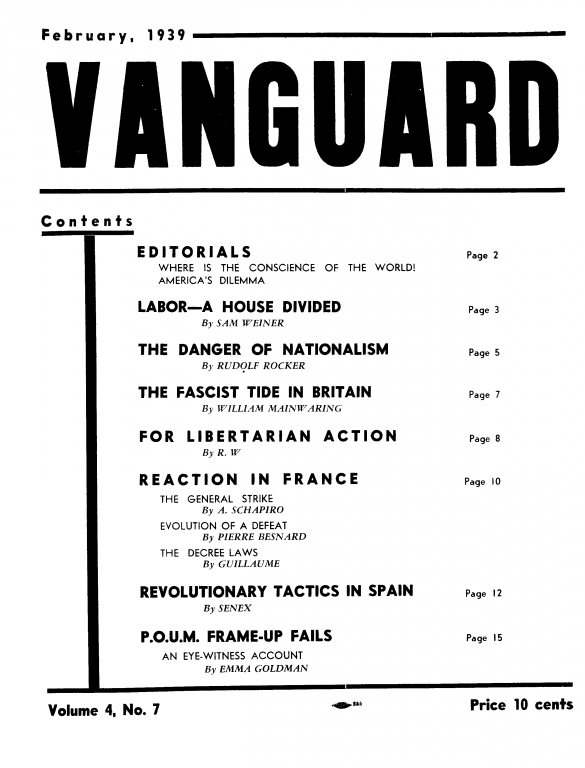 The February 1939 issue of Vanguard, an anarchist journal published out of New York, with articles by Sam Dolgoff, Rudolf Rocker, Pierre Besnard and Emma Goldman. -Where is the conscience of the world! -For libertarian action by R.W.